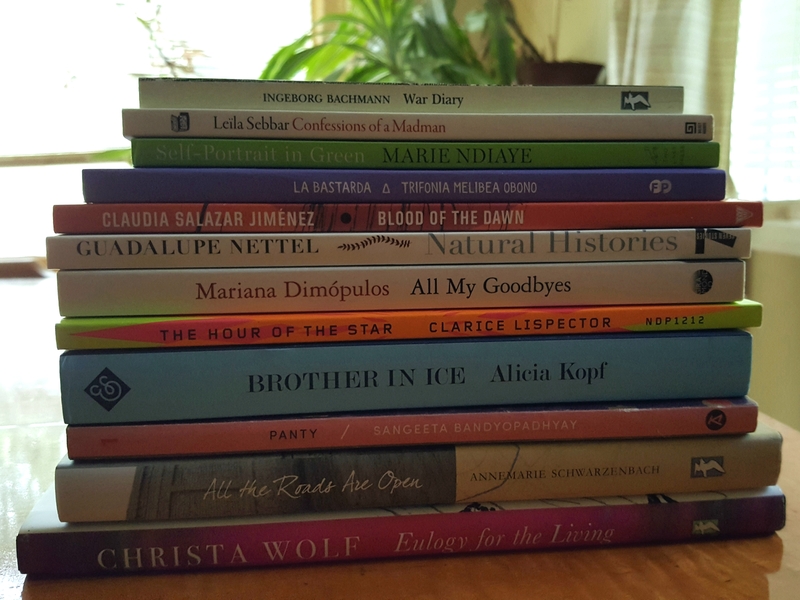 I like this post because, like you, I read women in translation all year round (six so far this year). So I’m reading Our Life in the Forest by Marie Darrieussecq, (translated Penny Hueston) for #WITMonth because I support its goals but I don’t feel any pressure over it! I agree, but some of the books in this pile I’ve wanted to read for some time and I’ve been thinking well, I’ll save it for August—so now that it’s August I should try to get to a few of them! I’ve been so busy with this one major review I just submitted that I feel relieved and look forward to reading with no deadlines or commitments looming! PS How’s the packing & sorting & jettisoning going? Not too much yet. The real push will be in September. I’ll probably move in the last week of the month. I actually just cleared the conditions on the purchase tonight, so now it’s a done deal and I can get serious. First call: junk removal! Like Lisa, I admire the fact that you read a lot of books by women in translation throughout the year, so much so that it’s become an inherent part of your natural pattern of reading. By contrast, I haven’t done so well this year – only one WIT-related book in the months between this August and last – but that’s partly because I’ve been trying to read from my shelves instead of buying more books. You have some interesting choices in your pile of possibilities for the months ahead. Plenty of great reading there, no doubt. A nice pile of possibles, Joe! I tend to read a lot of translated lit anyway but I don’t always think about the gender of the author, so it’s good to be made to focus like this! I agree. 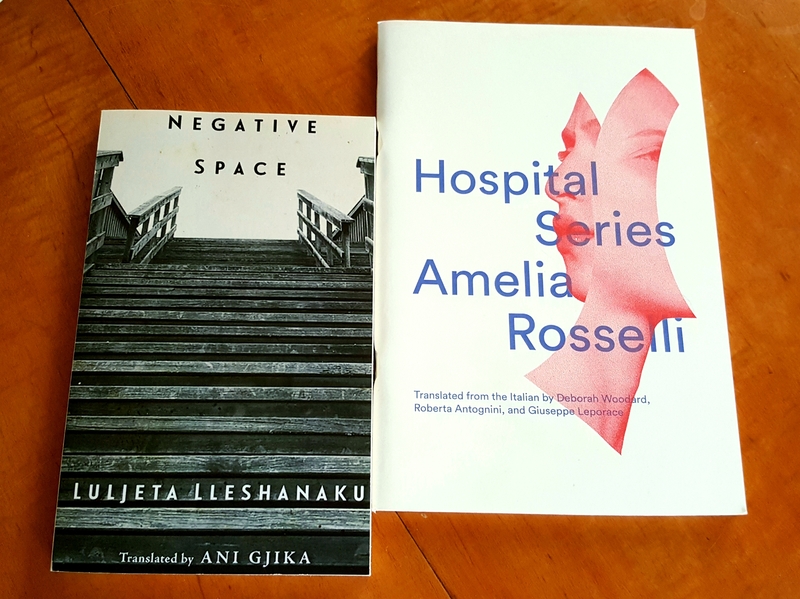 Although I don’t always manage to read many women in translation in August, I am conscious of expanding my selection. I have quite a few more but size mattered for this pile (hoping that increases my likelihood of getting through a couple). An impressive pile of possible WIT books there. I read and enjoyed Brother in Ice. I am trying to read more #WIT this year. My subscription copy of Brother in Ice took 4 months to arrive (thanks to Canada Post) so I have high expectations for it! I try to read WIT year round but haven’t read as much this year so August was good motivation to see what I had on the shelves, so I’m enjoying the variety. Two French translations have been excellent, Mend the Living and Disoriental. From your pile I have Brothers on Ice which looks interesting and unique.